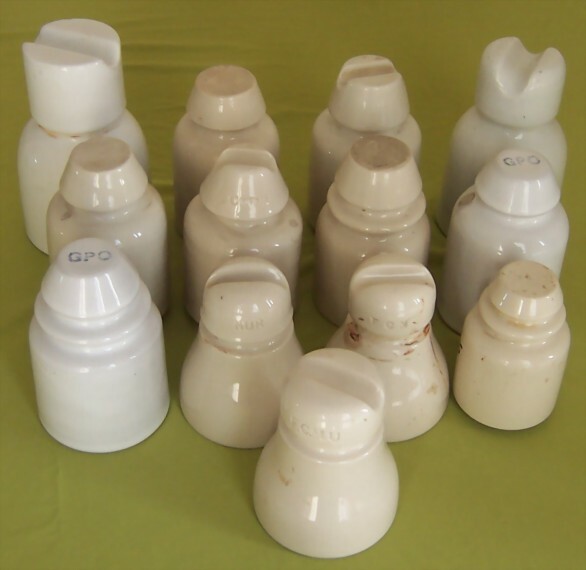 Group of porcelain insulators, all of railway lines type. One is marked in blue “GPO” on top and another not only bears the GPO inscription but also includes the arrow typical of the British Army. in English and another in Spanish, with the same meaning. Example: NUR (Northern Uruguayan Railways) and FCN (Ferrocarril del Norte). The same applies to the “Eastern” and “Midlands” railways insulators found.